Mobile shopping is currently experiencing massive growth. According to a forecast written by BI Intelligence, it will reach $284 billion by 2020. This makes 45% of the total U.S. eCommerce market. Interestingly enough, online shopping can get quite stressful. A balance will need to be struck between convenience and usability: with so many different brands and items, sales and last-minute discounts, you might get stuck on a website for hours. Looking for goods on a mobile can be even more frustrating. A smaller screen size makes it difficult to make the right choice. To top it off, you will often have to switch between multiple apps when looking for an item you need. While online shopping platforms like Amazon or eBay partially solve the problem by bringing tons of goods from multiple brands in one place, it is still difficult to find exactly what you want among millions of items on sale. Spending hours just to browse through all of the possible options is a luxury few can afford. That is where technology comes in handy. A personal shopper app is more than just another mCommerce product. It is a smart concierge that takes the hassle out of online shopping. It can help you find the right products at the lowest possible cost, searching hundreds of online stores for the best deals and offers. It provides personalized recommendations and offers better alternatives to the items you want. The benefits of a personal shopper app for a consumer are obvious. It is an automated and effortless way to shop online. It saves time and money, it helps keep all purchases organized, it tracks the orders from a single app, it monitors price movements and it allows you to buy cheaper. Many retail companies and major fashion brands have adopted virtual assistants. Thanks to advanced personalization capabilities and higher engagement, businesses can strengthen brand loyalty and improve customer retention. Thus, personal shopper apps have proven to be useful in terms of revenue growth. membership fees for brands and vendors. Furthermore, the market is still far from being saturated, so your app will have all the more chances for success. 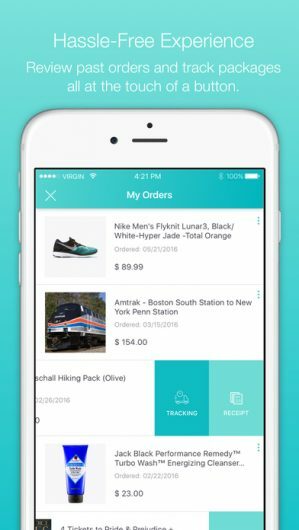 What makes a good shopper assistant app? The answer is simple: the assistant itself. Based on the way the users’ requests are processed, shopper assistant apps can be divided into the ones relying on actual people to handle all the tasks and the tools using artificial intelligence algorithms. 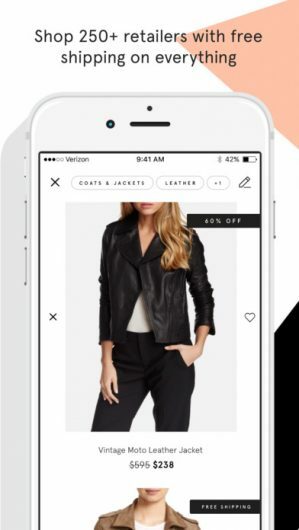 These apps are used to connect professional shoppers, fashion advisors or brand/store agents with the users. They communicate through a simple chat interface: users make shopping requests, and the assistants further specify orders and suggest possible options that meet those requirements. There are several examples of these apps using real shopper assistants to serve the users’ needs. Personal Shopper By Shop Your Way – The platform connects its users with personal shoppers, making it possible to buy a wide variety of goods from the group of Sears retailer companies, including Sears.com, Kmart.com, and mygofer.com. Building such an app is relatively easy. All it takes is creating chat functionality. Additionally, you will need some basic elements of a traditional mCommerce app, such as a user account, a shopping cart, payments, order tracking and shopping history. In addition to frontend development, the above list requires backend development as well, and it is estimated that It will take 80-160 hours to implement all theses backend features. The main drawback of such an approach is that you will need to find and hire assistants in order to make your app work. While you might use the services of freelancers or individual contractors, there is always a chance that they won’t be able to meet your expectations and do their work properly. You will need to either invest in individual training for every assistant, and personally track their performance, or solve the users’ complaints due to poor quality of the provided services. In both cases, this means more operating expenses for you. Unlike shopper assistant apps that use actual people to do all the work, AI-based applications rely on a set of machine learning algorithms. These apps provide fast and efficient shopping assistance services: it takes an algorithm significantly less time to browse through hundreds of websites and online catalogs to find the required items. Machine learning technologies allow for advanced personalization. By sourcing data from thousands of app users, algorithms learn about their habits, individual preferences, and major shopping trends. Based on the gathered information, such tools can make tailored suggestions and improve the accuracy of search results. Namely, there are many ways to integrate machine learning technologies into a shopper assistant app. Natural-language processing is used to recognize user requests and trigger the required actions. It allows an algorithm to understand simple human language, so that no special commands are needed to operate it. A user can communicate with an AI agent as if it were a real human, which makes it easy and convenient to use. Image recognition can be applied to extend text search. It allows a program to process images and search for visually equivalent or similar items. 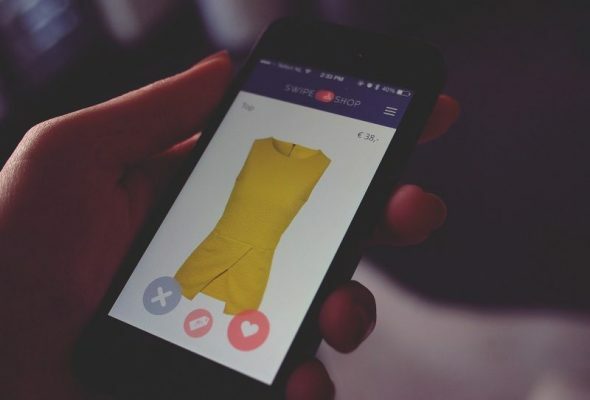 Thus, if you like someone’s dress and want one for yourself but you don’t know where to find it: you can simply take a photo of it and make your shopping assistant search for similar items online. If the algorithm finds similar items, you will be notified. Personalized recommendations are based on machine learning as well. For example, if you buy that dress, found by a visual search, the app can suggest several accessories or shoes that match the outfit. Similarly, if you prefer shopping with a specific brand, the app will most likely show you their targeted offers, instead of pitching some random deals that won’t be interesting to you. Price prediction algorithms can help you snap the best deals and make smart shopping decisions. Keeping record of the regular price movements and historical trends, an algorithm can learn to forecast possible price drops or hikes. Thus, you will be notified if an item will fall in price soon, so that you can wait and buy it later at a lower cost. 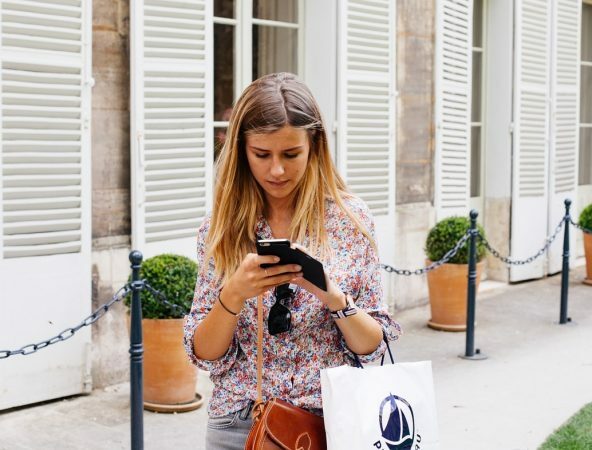 The following apps rely on AI and machine learning algorithms to provide personal shopper services. Mona – Created by a group of former Amazon employees, uses automated algorithms to browse 300+ online stores for products that meet a specific set of criteria, such as product type, style, and price. The assistant also learns about your preferences: when you use the app, and it provides personalized suggestions and promotions from the brands which you showed interest in. 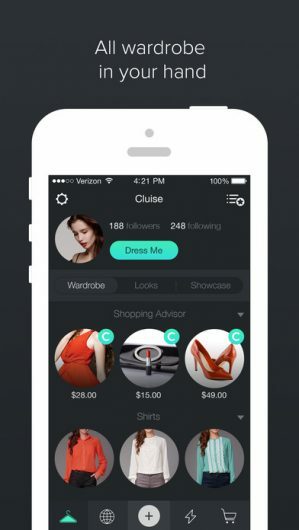 Cluise – Along with the AI-based personal shopper services, this app allows you to create a digital wardrobe by uploading photos of your clothes. The app uses image recognition technologies to process all photos, recognize your wardrobe items and sort them according to several parameters. Knowing what items you already own, it uses special algorithms to create outfits and acts as your personal stylist. While the development of an AI-based shopper assistant app requires more effort and specific tech skills, it proves to be the most beneficial for long-term ROI. 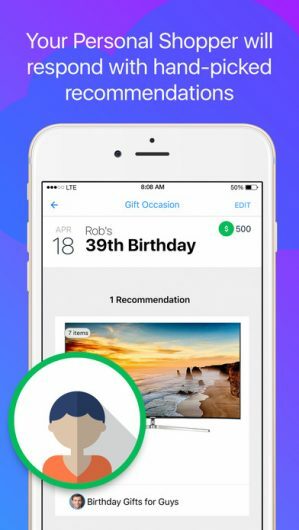 Such apps require minimum human input and tend to improve over time: self-learning algorithms become more accurate and allow for better personalization as they source more data from your users. The increased speed and efficiency, advanced capabilities, such as visual search and price prediction, become a valuable addition that human shopper assistants cannot provide. 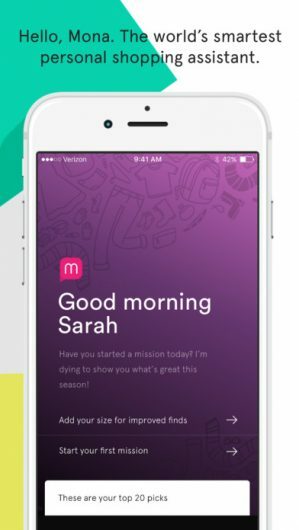 Moreover, the level of personalization in such apps is typically higher. The algorithms are unbiased and tend to notice even the slightest details in user behavior. Some apps try to capitalize on both approaches. Partially relying on human agents, such apps automate certain tasks using AI algorithms and machine learning. Combined, these approaches provide fast and efficient services, while keeping the human touch. One of such apps is Mezi. Initially positioned as an all-purpose AI-powered virtual assistant, the startup recently pivoted to focus on travel. However, it still offers personal shopper services, providing its users with carefully selected recommendations, managing the orders and returns. Mezi uses natural language processing to capture the most important information from users’ requests. The app then further passes it to the actual shopping experts, who chat with users and complete the tasks. The app can also learn about users’ preferences, which allows it to complete future requests faster. While this approach might seem to use the best of both worlds, it is not really beneficial from a business point of view. This “mixed type” approach to building an app still requires heavy investment into machine learning and AI technologies. But your expenses won’t end when the app is ready: you will have to hire, train and manage your agents as well. If you don’t want to build a whole new mobile app or would like to augment your existing solution, be it an application or a website, chat bots might be exactly what you are looking for. Introduced across a number of the most popular messaging apps, such as Facebook Messenger, Slack, Skype, Viber, and Telegram, these AI-powered virtual assistants can help you with multiple tasks, including shopping. 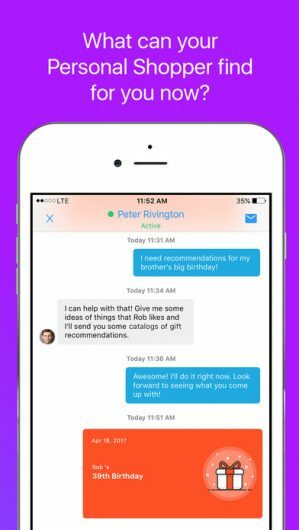 A prominent example of such a product is the Messenger chatbot launched by mCommerce startup Spring. 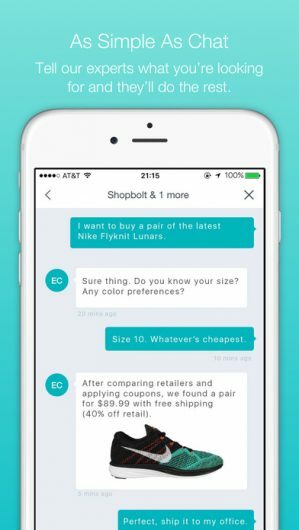 Following simple directions, provided by the bot, users can easily shop for any kind of clothes right within the Messenger. The adoption of smart personal assistants and the growth of eCommerce don’t seem to be slowing down anytime soon. Thus, more personal shopper assistants are going to flood the market, offering easy, fast, and convenient ways to shop online. In this case, advanced use of AI and machine learning might be the only way to stand out among the competition. These technologies open up new opportunities for an even easier, faster, and more convenient, personalized approach to mobile shopping. If you have a great app concept in mind, Eastern Peak is everything you will ever need to bring your idea to life. We have profound domain knowledge and can handle all aspects of your project development, from idea finalization to product launch and marketing. Contact us now to get a free initial consultation. How to create an online marketplace MVP? The post Best Practices: Personal Shopper Apps Development appeared first on Eastern Peak.